"So, just how long is it going to take me to make and decorate cookies?" "So, just how long is it going to take me to make and decorate cookies?" The short answer is...it depends. 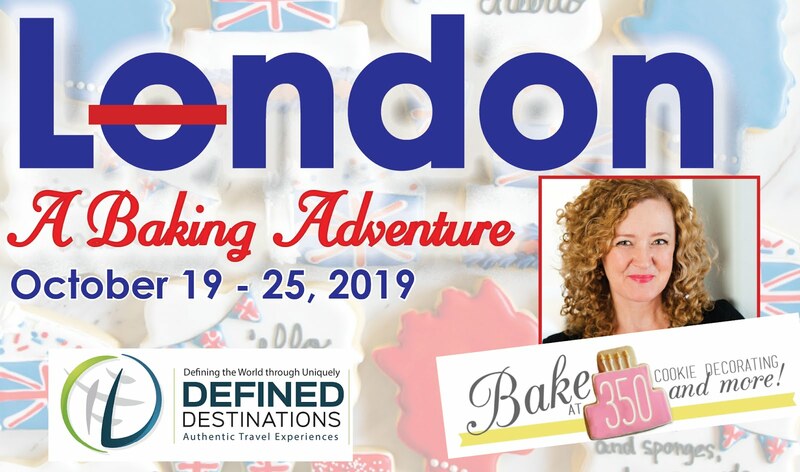 It depends on how many you're making, of course, and how many colors of icing you are using, and how detailed the cookie design is, and how you are packaging them. Whew. But, let me try to give you a rough idea. Let's go with 2 batches of cookies because if you're going to take the time to make them, you might as well make more than one. First, the cookies. Using this cookie dough recipe, plan on about 1 hour per batch. 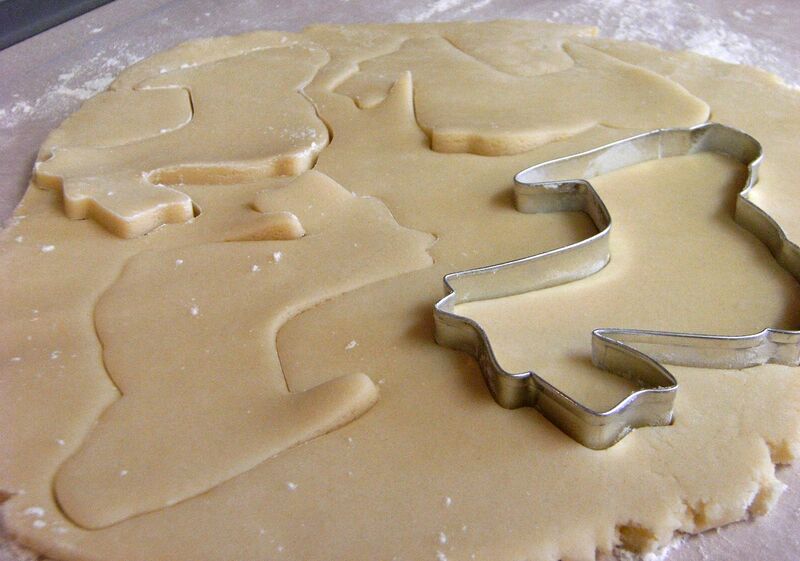 With a 4.5" cookie cutter, you'll have around 12 cookies. I bake mine 6 at a time, since I have a single oven. I could do 2 sheets and rotate the them during baking, but I am usually too distracted by twitter getting in some housework (ha!) and forget to rotate. Next, the icing. I use royal icing. It's just as quick to make a double batch as it is to make a single. I usually double my recipe just to ensure I have enough. To make the icing and tint it, assuming you're making more than 2 colors, takes about 45 minutes. Decorating the cookies. This is a little difficult to estimate and you'll have some down time here. Assuming you have 24-30 cookies, you'll need to prep your icing bag and outline your cookies. For a simple outline, allow 30 minutes. 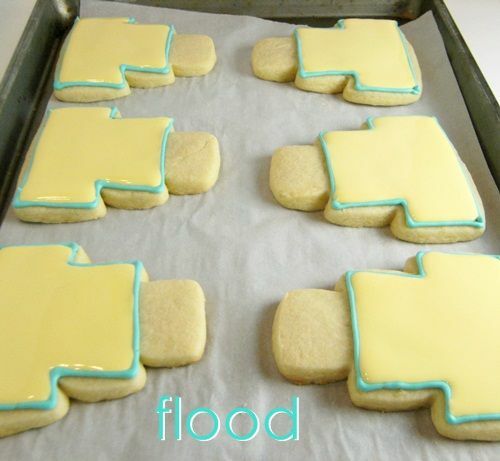 Next, you'll want to "flood" the cookies with thinned icing. For me, thinning takes a while because I add water just a bit at a time. You'll need to thin the icing, let it sit, stir, then flood. Usually, you'll have some sort of detail to add to the cookies. First, the filled cookies need to "rest" for an hour or so before the next step. Finally, the detail work. You may be adding sanding sugar, sprinkles, luster dust, extra piping, or all of the above, so this really varies. 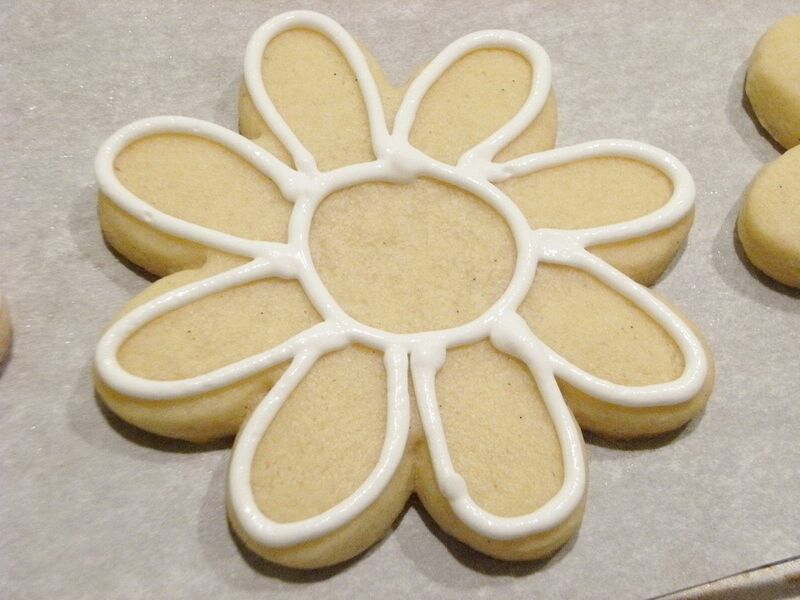 Assuming the detail is a bit of simple piping on each cookie, allow at least a minute per cookie. Then, let them dry overnight. My advice....make the cookies a day ahead. Even two days. Even more than that and freeze them. Yes, they freeze...even fully decorated. 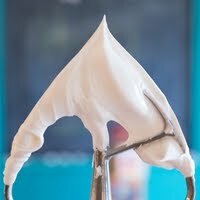 Another hint, royal icing can be made ahead of time, too. 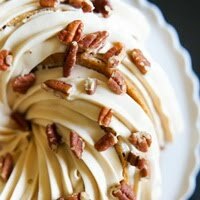 The icing will not be as stiff the next day, so if you have fine detail work to do, you may want to make it the same day. Otherwise, it's fine. 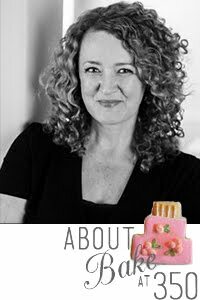 I love this post from my friend Gail of One Tough Cookie...here's a little nugget of wisdom from her blog: "No matter how much time you allow for decorating the cookies, allow more." See, she's smart and CRAZY TALENTED! That's what works for me. Do you have any hints for timing your cookie decorating? I'm the one who starts at 8pm and at 1:30 wonders why I'm so tired. You are so right, I have never calculated the time it takes me to make cookies, but I always remember it taking FOREVER. Next time I think I will have to try and bake them the day before. Bravo to you for making sooo many cookies each taking over 7 hours! Timing is always a struggle for me as I usually only get to start after the kids are in bed at 8pm. Sometimes I take one evening to make the dough, and while still soft, cut out the shapes and layer them (uncooked) between flour dusted wax paper in a large pan. I pop them in the freezer for days/weeks (depending on event date), then I bake them from frozen when I am ready. 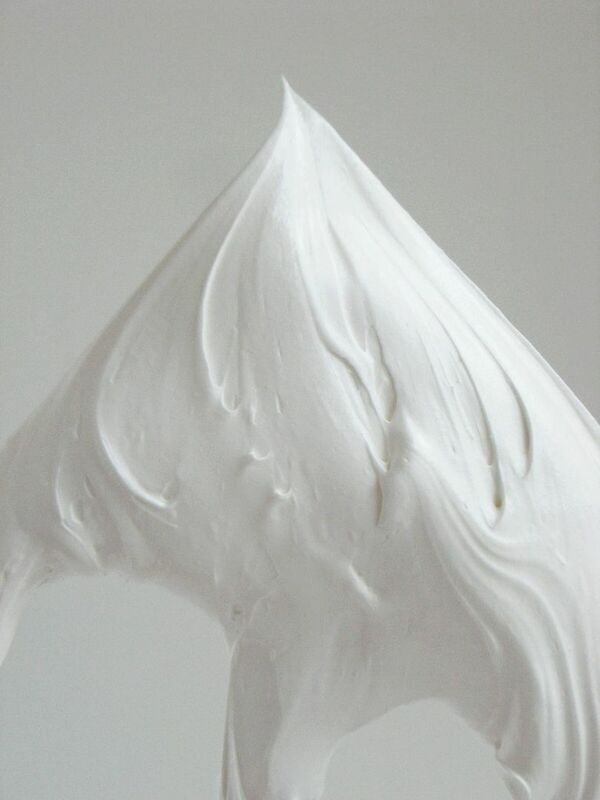 Then I find I can be making/tinting icing while the cookies are baking. Plus I get to start with a fairly clean kitchen. I try to save time making dough as well by mixing up an '8 cups of flour' batch at once. This is too much to fit in my kitchenaid, sadly, but instead I use a large bowl and hand mixer to do butter/sugar/eggs/vanilla, then I incorporate the flour by hand. I find I can make about 50 or 60 cookies with this size of batch, and that this method is quicker than loading up the kitchen aid 2 or 3 times. And once I win the lottery and buy a hobart bakery mixer, then the sky is the limit! What a great post Bridget. People sometimes complain why decorated cookies are so expensive. It's not just the ingredients, but the hard labor! I received my first baking order a few months ago - 170 monogrammed cookies for a wedding. It was true test for my organizational and planning skills. The day before the wedding, my sister and I got started at 9am and wrapped up the last cookie at 1:30am. It was rough. I learned my lesson: start earlier, you crazy nut. Oh, and I try to incorporate the wet-on-wet technique as much as I can. One of my favorite 2-in-1 time savers. thanks for the advice! I keep telling myself that ONE DAY I'm going to sit down and do some MAJOR cookie decorating....but I'm just way too lazy ;) One of these days though! Great post! I get asked that question all the time and I always say it's a step by step process and depends on different things. It's hard to answer that question! I'll have to time myself next time, never realized how much time it does take! One tip I found on Bake It Pretty blog was rolling dough in between two pieces of wax paper and chilling for an hour or so. This simple technique saves on mess, taste and time. It can take me 10 minutes to mix my dough, another couple to roll and throw in the fridge and I already feel I got a huge amount done. An hour later, preheat oven, pull out my harden dough sheets, cut pieces out and bake. It's so much easier, I actually look forward to this step where as I dreaded it before. For frosting I use the disposable bags, not very eco friendly but saves a lot of time in clean up! Decorating cookies is extremely time consuming. Unless you've done it, you really don't understand the time involvement. When you decorate a cake, you do it once. 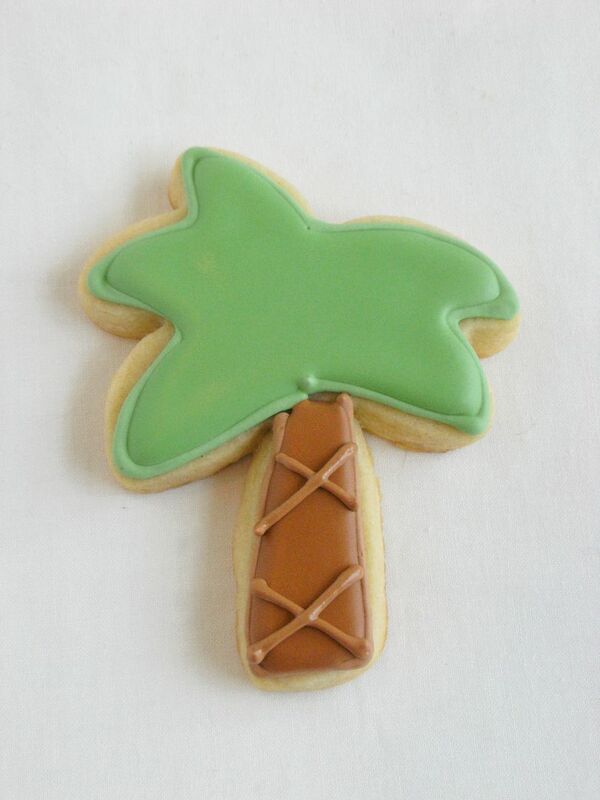 When you're decorating cookies, you decorate over and over and over again, depending on the size of the order. 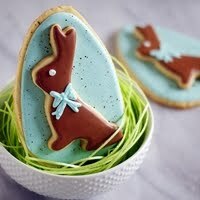 This is why decorated cookies tend to be costly but worth every penny! Great post Bridget! I knew this information when I finally got started on birthday cookies Sunday around 6...that needed to get in the mail on monday. At least I'd made the dough ahead of time. making the icing always takes longer than I think it will. I think you have to be a little OCD about organizing when it comes to making/decorating cookies. The more organized you are, the less frustrating and daunting of a task it is. I always make my dough, roll it out between parchment, and stick it in the fridge so when it comes time to cut I can just get er done. I also save all the scraps from those slabs so I'm not re-rolling the dough a lot of times. Before even making my icing, I do rough sketches of the cookies I need, complete with colored pencils to see which colors of icing I have to make. There's nothing I hate more than being in the middle of decorating the cookies than to have to stop and make another color of icing! Great post! I should forward this to the people who requested cookies and then were horrified by the price I asked for (which was on the low side, I think). 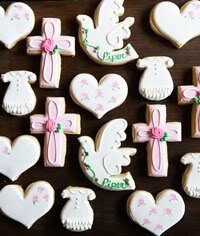 My goodness, these cookies are quite a time commitment, but the end result is well worth the effort! I've always wondered how to plan it all out, thanks!! Oh man, I had a time crunch once and the main thing I learned from it: always allow yourself lots of time! Also, plan for disasters! Great post. It's kind of scary when you add it up! Thanks for all of your advice Bridget. I couldn't have done that huge order without all of your tips on timing. You're the best! You my dear......are ONE SMART COOKIE!!!! Your cookies are such works of art! I'm sure I would need to plan double time, maybe triple. My mom made some detailed flag cookies and ended up in the hospital with blood clots in her leg. I buy them from artists like you, and it's worth every penny! Thanks for sharing your method, though. I admire your amazing abilities! Wonderful post Bridget! 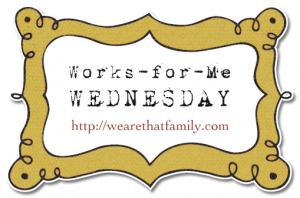 My husband teases me saying that I'm the only person he knows willing to *work* for about $1.00 an hour! While it is time consuming there is nothing I get more pleasure from than baking and decorating my cookies and I don't consider it *work* The fact that people want to buy them is just a bonus and a very flattering one at that. Love this post! When I made decorated cookies last week, I split up my cookie making time - I did all the cookie dough making and baking one night, and all the decorating the next night. It really helped me as a beginner to make it less overwhelming! Labor intensive work. Just like making soap. :) I don't think we get paid enough! That's a nice break down! So I don't get overwhelmed, and because my favorite cookie dough recquires at least three hours to chill, I usually make my cookie dough one night. Roll and bake the cookies another and then decorate on yet another day. For parties where I'll have a lot going on I make the cookies a week or two ahead of time and freeze them. You're cookies are so amazing. They do take some time but it's well worth it. Wish I had some tips to offer but seems like you have everything covered. Girl...I hate doing these kinds of posts because they take soooo long to type up and explain and can get tedious. I am so thankful that you have the patience and heart of gold to do it!! As usual, you are the grand cookie decorating champion. Thanks so much for sharing what you know!! 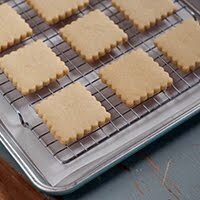 Everything I know about baking and decorating sugar cookies I've learned from you - and I could never thank you enough! I credit ALL the success I have at cookie making/decorating to you! Probably the best advice you've given me is to break the process up... I used to mix, cut, bake and decorate all in the same day, (and into the night) and by the time I was finished I'd be swearing (like a Sailor) NEVER to do it again! However, now that I break it up - I enjoy the process of creating cookies SO much more! I have an order for my colorful Fall maple leaf cookies I'm doing for a bride and while the order isn't due to ship out until 10/05, I'm mixing up dough tonight, (using the kitchen at my office because the commercial Hobart mixer there makes mixing a triple-batch of dough a breeze!) I'm also going to roll and cut tonight and then FREEZE the "blanks" until next weekend when I'll mix up the royal icing and begin decorating. Breaking up the tasks keeps me sane and makes the process more enjoyable all the way around. Thank you so much for ALL you share! You are truly Heaven-sent! Thank you for this post. I've always underestimate time involved in decorating cookies. I made my first batch to practice a few weeks ago, and it took me the entire day! The kitchen was a disaster and I was exhausted. For 12 cookies. The husband thought I was crazy. So did I. The suggestion to break up the work so it's still fun is very smart. Such a helpful post...and I'm with Robyn. Just send 'em on over! I want to lick the icing right off of that paddle! You truly are amazing!!!! 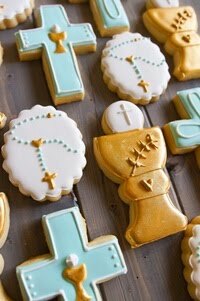 i have to make cookies for a wedding...and im making about 100-125 round cookies....with monogrammed lettering....can i make the cookies 3 weeks in advance and freeze them? or would that be considered too long? Thank you so much for sharing! I've just started decorating cookies and I just thought I was slow. I have been wanting to time myself from baking to finish and I get so involved in the project before me, that I put it off each time. Surely I can increase my speed! It really is a time intensive art. I didn't read all of the comments but I personally have found that having the right consistency of icing makes a hugh difference in how accurate or timely a cookie project goes as well. Blessings!